How clever are these redesigned movie posters inspired by men's style? 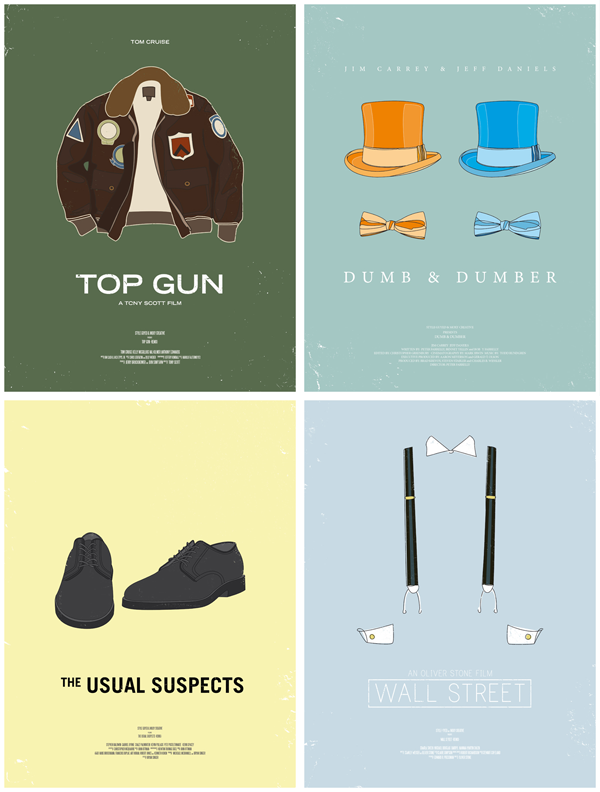 Each piece highlights a classic menswear piece from ten different movies. See the entire collection here. EveryGuyed presented them and they are designed by Moxy Creative illustrated by James Alexander Mathers and Andrew Lau. I'm not sure how little girl's dresses and tights relate to men's style, but I'm loving his poster for the Shining. Superman is also a favorite! Oh, and if you're interested, I blog over at Earl Grey, a small lifestyle blog full of big inspiration. Hahaha I love these! Clever! These are INCREDIBLE! I love all of them...but especially the Dumb and Dumber one...I literally busted out laughing. oh goodness me! you have NO IDEA how badly i want that Usual Suspects poster hanging in my boudoir ... priceless.